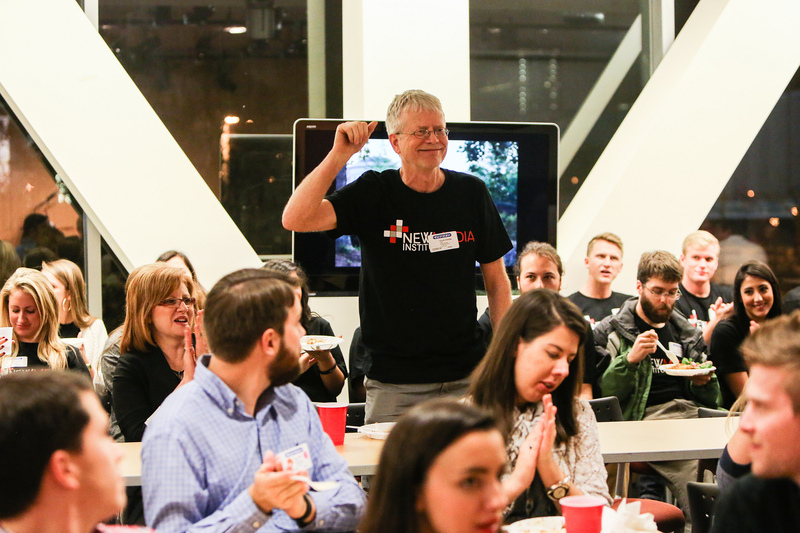 On Friday, December 5th, 52 Capstone students brought innovation and excitement to SLAM. Held at Turner Broadcasting’s Atlanta Studios, 75 professionals came out to discover what our students had come up with throughout the semester, and were thoroughly impressed! This would not have been possible without the amazing support of Turner and Vert, and we are incredibly grateful for their continued support and involvement. If you were not able to join us for the festivities, you can check out all of the amazing projects on the 2014 Project Page.